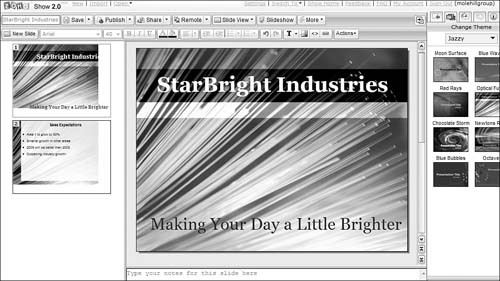 Presentation Engine (www.presentationengine.com) is an advanced presentation program with an eye toward snazzy graphics and transition effects. It offers a level of graphics sophistication not found in competing online applications. You start by selecting a design style from the list shown in Figure 6. You then choose background music and a color scheme for your presentation, and then start adding the text for your slides. The result is a multimedia presentation, like the one in Figure 7, saved as an executable file that can be run from the web or downloaded to your PC. Figure 6. Choosing a Presentation Engine design style. Figure 7. A finished Presentation Engine multimedia presentation. What you don’t get with Presentation Engine is a lot of flexibility. Want to add a chart? You can’t. Want to vary from the suggestion slide transitions and animations? You can’t. But if you like Presentation Engine’s visual flair, you should be satisfied with the quality of the results. PreZentit (www.prezentit.com) is a slick-looking application that offers features not found with competing programs. You get a library of graphics you can use for slide backgrounds, a bevy of slide transition effects (shown in Figure 8) and easy sharing and collaboration with authorized users. What you don’t get is a chart-creation function, but then again, most competing applications don’t have that either. Figure 8.  The slide transition effects available with PreZentit. The presentations you create with PreZentit are saved in HTML format. 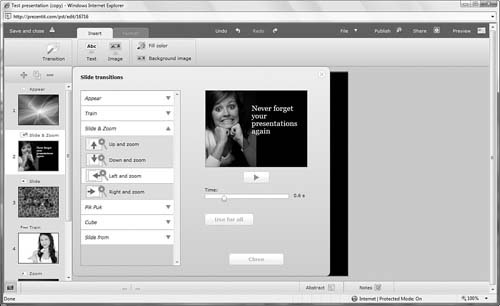 You can run your presentations from the web or download to your PC for offline viewing. 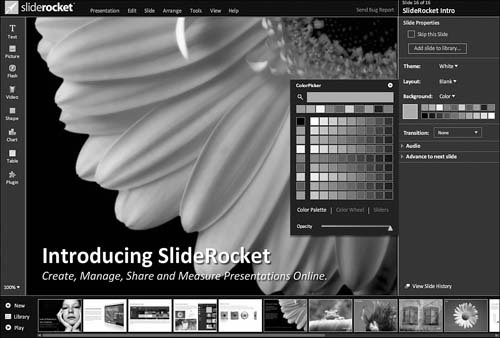 SlideRocket (www.sliderocket.com) is one of the newest web-based presentation applications. As you can see in Figure 9, SlideRocket offers an appealing interface with lots of advanced features. Figure 9. SlideRocket—one of the most advanced web-based presentation applications. You get a lot of features in SlideRocket that aren’t available in competing applications. For example, SlideRocket offers predesigned static and motion themes; slide transitions and builds; a variety of 3D effects; the ability to import audio, video, and animations on your slides; a powerful chart creator; and group collaboration and presentation building. You can then present your work via the web in real time or download your presentations for offline use. 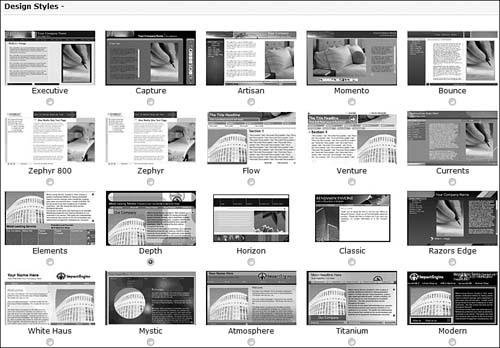 If you’re a power PowerPoint user or just have advanced needs, SlideRocket is definitely worth checking out. 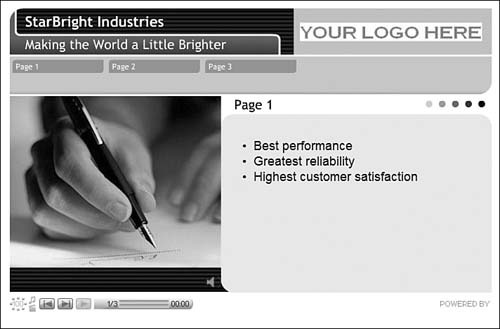 ThinkFree Show (www.thinkfree.com) is the presentation component of ThinkFree’s suite of office applications. As you can see in Figure 10, Show looks a lot like pre-2007 PowerPoint, minus the charting function. You do, however, get both slide transition effects and custom animations for text and objects on a slide, as well as the ability to inset tables and shapes. Figure 10. The PowerPoint-like interface of ThinkFree Show. Sharing is accomplished via ThinkFree’s My Office Webtop, which is also where you share other types of ThinkFree documents. You can share presentations for viewing only or for group editing, and then play back your presentations from any Internet-connected computer. Thumbstacks (www.thumbstacks.com) is a bare-bones online presentation program. The interface is easy enough to use, as you can see in Figure 11, but you’re pretty much limited to plain text slides; there are no tables, charts, or transition effects. Figure 11. The bare-bones interface of Thumbstacks. Zoho Show (show.zoho.com), shown in Figure 12, is probably the weakest link in the Zoho Office suite. 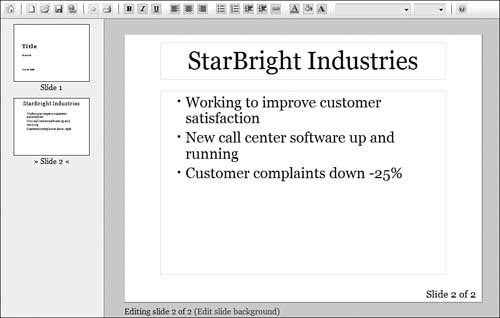 Like Google Presentations, Zoho Show lets you create good-looking text-based slides, but that’s about all. There is no chart-creation function, no tables, and no slide transition effects. Figure 12. 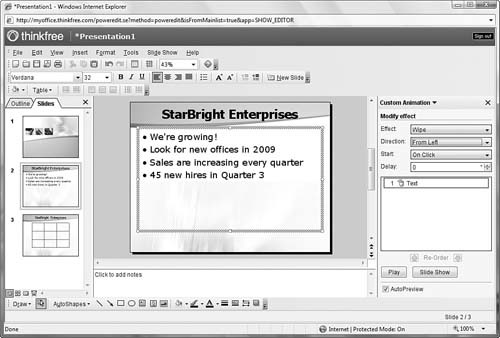 The Zoho Show web-based presentation program. That said, Zoho Show integrates well with Zoho’s other web-based applications and offers easy sharing and collaboration. So if you want a good basic presentation with few bells or whistles, it’s worth checking out. If you already have a PowerPoint presentation and just want to share it with others via the web, you might be interested in a presentation-sharing site. These sites, such as SlideBurner (www.slideburner.com) and SlideShare (www.slideshare.net), work kind of like YouTube, but for presentations rather than videos. These sites, like YouTube, are file-sharing communities that are free for anyone to use. Once you sign up, you can upload any presentation in PPT (PowerPoint), PDF, or ODP (OpenOffice) format. The presentations you upload are then made available to the site’s community; you can make your presentations private (viewable by invitation only) or public (meaning anyone can see them). Of course, you can also use these sites to host the presentations you give on the road or broadcast to remote colleagues. Just send the URL for your uploaded presentation to your colleagues or enter it into your own web browser. Your presentation can then be viewed in its default viewing window or, on most sites, full screen. A presentation sharing site makes sense if you don’t want to switch from PowerPoint to a web-based application but still need to share your final presentation with others in remote locations. It’s also a good idea if you want to give a presentation on the road but don’t want to haul your notebook with you, or even if you just want a backup while you’re traveling. What you can’t do, of course, is edit the presentations you upload; these services are for sharing, not for collaboration.